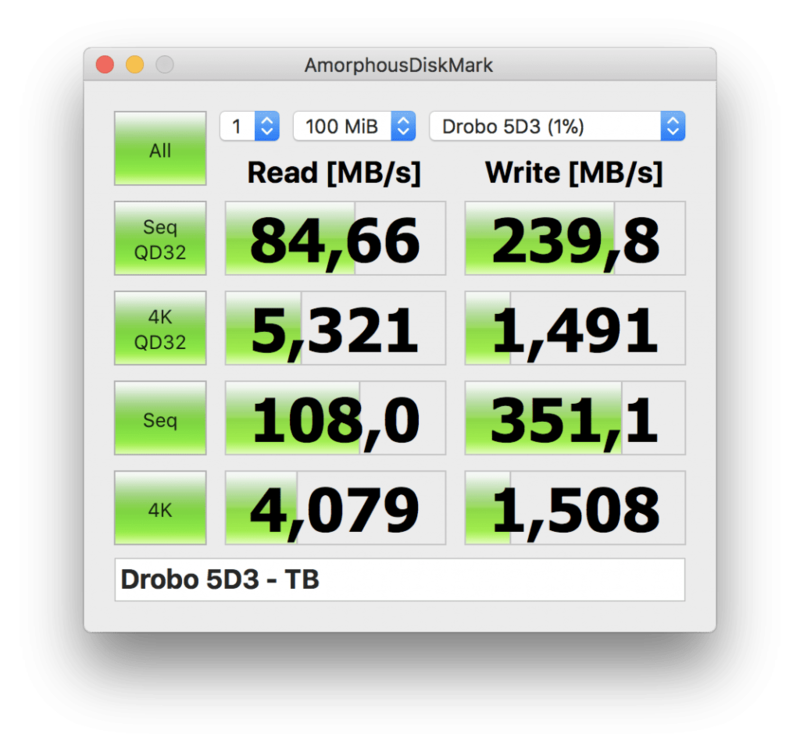 The Drobo 5D3 is the cheapest and fastest available direct attached Storage with a Thunderbolt 3 connection. This Storage Enclosure is offering a high video and photo editing performance for little money. The Drobo is the first Storage Device in this series that not only offers increased read and write speed but also increased Data Security through its proprietary BeyondRaid. To make this Review comparable, I’m only utilizing Hard Drives with similar read and write performance values. All of the them reached a max read and write speed somewhere around 130 MB/s. The editing Machine is a 15″ Macbook Pro Late 2016. 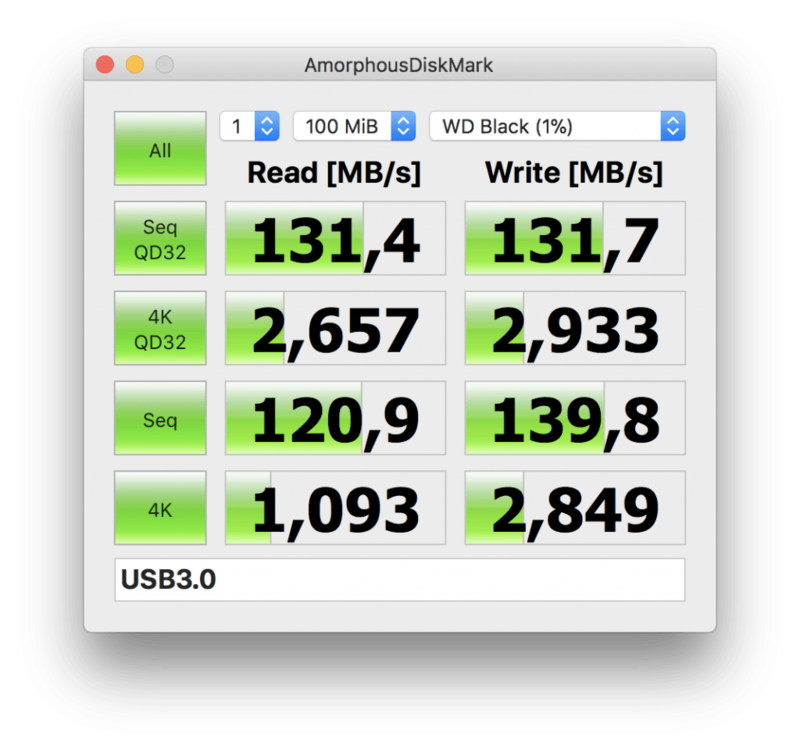 And yes the Drobo can charge your Macbook to a certain amount through Thunderbolt 3. If you are working on rendering intensive projects, you’ll lose some battery life through the fact, that the PSU of the Drobo isn’t strong enough. If you want to be safe you better keep your charger within reach. Most of the available Storage Devices are not really a piece I’d want to place on my desk. Thankfully Drobo is delivering a slick streamlined design. Whit this in mind, they are focusing on a simple and easy to use system. In consequence, the whole array can be serviced without any tools whatsoever. All the parts and components on the Drobo are Plug & Play. The biggest advantage on the Drobo is that everybody can set it up without any prior knowledge of Storage Devices or technologies. This makes it for people who want to be creative and don’t want to focus on tech specs, features or settings. The Drobo is pretty much a fire and forget device. Extending the capacity of a RAID can be challenging on traditional systems. Not with the Drobo. With the their BeyondRaid technology you easily can change your RAID Setup. If you want to extend your Array, just insert a new Drive in one of the empty Bays. In consequence what happens if you filled up the 5 Bays and want to extend your Storage? Just remove one of the Drives, let the reorganisation happen and insert your new disk. Drobo is offering a Storage Calculator to help you plan the usable capacity of your device. 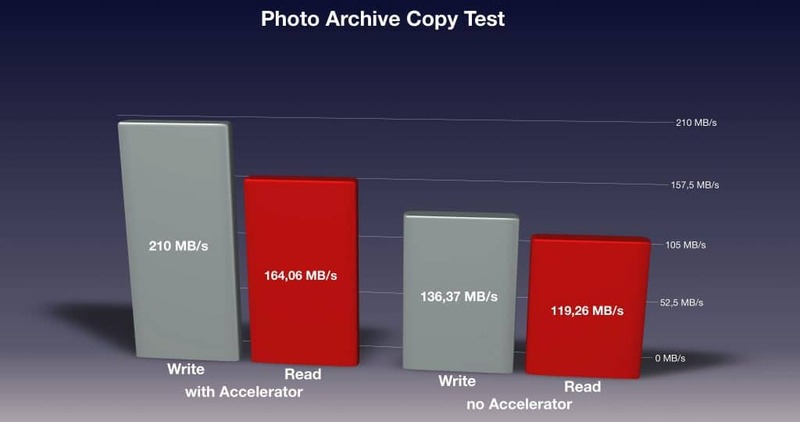 Modern Storage Devices offer SSD Tiers or Accelerators to speed up the Access of smaller to mid sized files. The Drobo is no different. On the bottom of the Device you can find a hatch where you can place an mSATA SSD. These drives offer read and write speeds up to 520 MB/s. 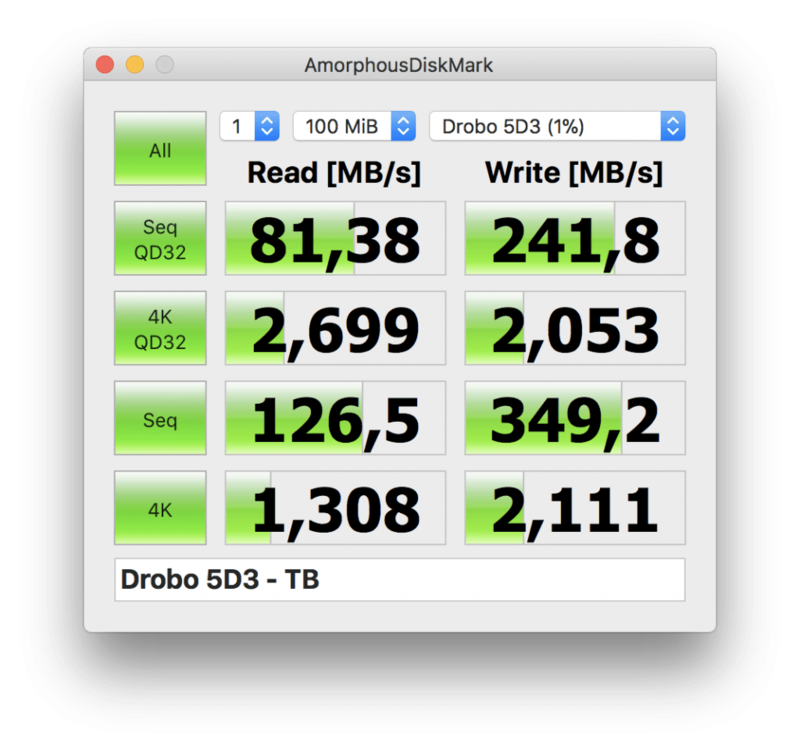 In consequence, this value marks the Max throughput for the Drobo equipped with 5 drives. This means setting up the Drobo with 5 SSDs or fast High Capacity Helium Drives will not lead to a higher throughput. From a performance standpoint the BeyondRaid delivered decent values. This can be observed in the Amorphous Disk Mark and the Blackmagic Disk Speed Test. Unfortunately you will not see much of a difference when you have the mSATA Accelerator installed. The recommended size for the installed SSD is 64GB. If you install a bigger Drive, the 5D3 will not be able to utilise the additional space effectively. As a results, this is a good point to save some money on. The moment you throw in some real life values, this starts to change. 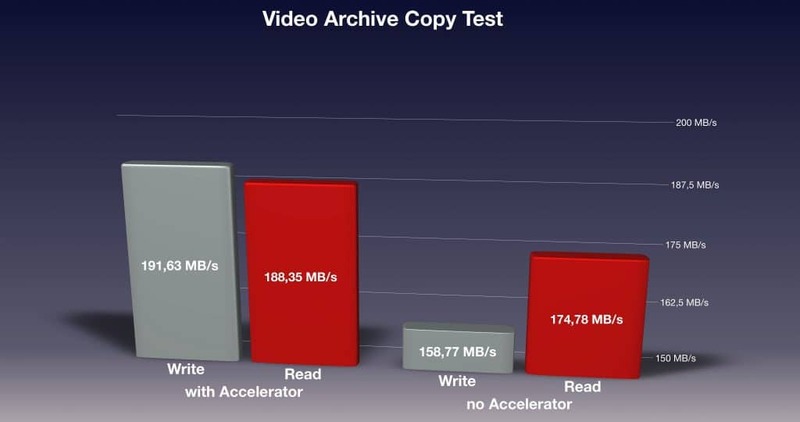 With high capacity files like 4K Video files the Accelerator is only able to increase the performance marginally. If you are handling big image archives the performance increase is massive. The transfer rates were increase up to 50% in the Photo Archive Copy Test. As in my previous review, I conducted the 4K Video Rendering Test again. For this the 15″ Macbook Pro Late 2016 with Final Cut pro was used. It took about 17 minutes to render with and without an installed Accelerator. 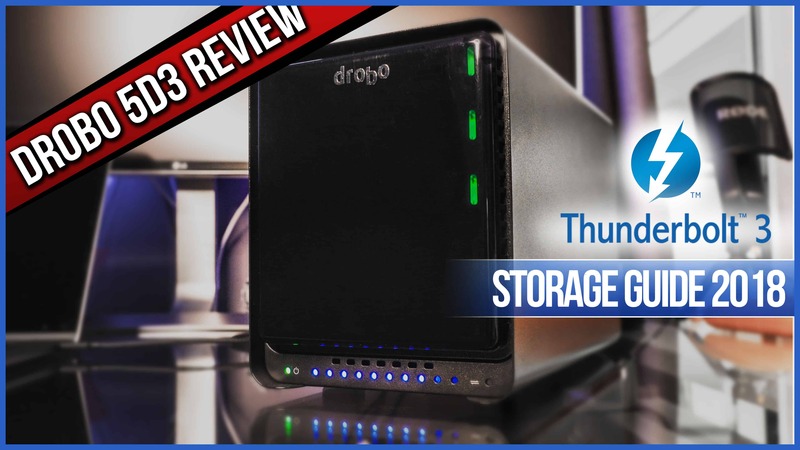 Through the fact that the Drobo 5D3 is a direct attached Storage Device, it does not come with a whole lot of extra features. In comparison, Devices with a Network connectivity usually offer File Services, VPN Access, Virtualisation and such. However, the Drobo 5D3 is still able to deliver a very unique feature. The 5D3 is equipped with a built in UPS. This means in the unfortunate event of a power outage, the Drobo will store unwritten Data in its RAM. After the power goes back on, it’ll complete the unfinished transactions. 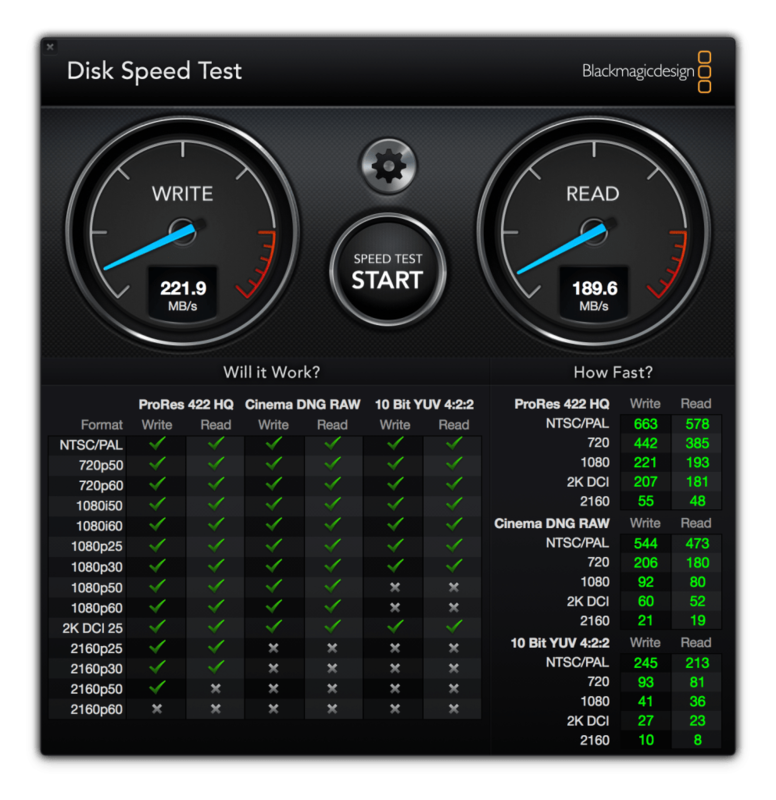 One thing that really bothered me was noise the Drobo 5D3 was emitting. My unit at times got horribly loud through some vibrations which resonated at a frequency that you can’t endure for long. I measured a noise level of 50 dBs with just 3 Disks installed. If you equipe all 5 Slots these values would even get worse. In my video you even can see, that you can not place the Device on a flat surface without some wobble. To summarize, what is my overall impression of the Drobo 5D3. This direct attached Storage is really a great value product. You get a versatile Device for little money and you even can use the Hard Drives you already have lying around. On the other hand, the Drob has its limitations, but for most users this is more than enough power. To get a system with higher performance, you’ll have to invest a considerable higher amount.